In something out of Black Mirror, Chinese schools are tracking their students using GPS chip-equipped smart uniforms. They say it’s to encourage better attendance rates. The Global Times, a Chinese state-run newspaper, reported that more than 10 schools in the southwest Guizhou and Guangxi have adopted the uniforms. This isn’t a new development though. In fact, according to a principal at a school in Guizhou, 800 students at his school have been wearing the uniforms since 2016. It says they can be used to track students’ whereabouts and check when they enter and exit school, with facial recognition software at the schools’ entrances to make sure the right student is wearing the right uniform. If they try to leave during school time an alarm will go off. 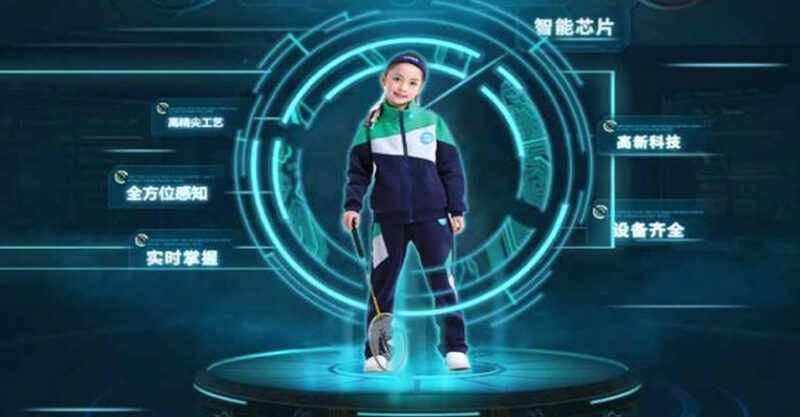 The smart uniforms are washable, despite the technology, according to the Guizhou Guanyu Technology Company, which developed the smart uniforms. Each uniform can endure up to 150 degrees Celsius and 500 washes. The uniforms can also detect if students fall asleep in class and allow students to make payments. But the most concerning thing about the smart uniforms is the administrators’ ability to track the children out of school as well. The principal of the school in Guizhou said that they choose not to check the accurate location of students after school.